Vacation is certainly worth it if you come in contact with nature. When you are on holiday getaway tour, you should consider Central Coast of Australia. The place is filled with classy restaurants, the best hotels, and the highest quality of service accommodation. However, if you want a simpler adventure, coastal walks will simply give you a very relaxing feeling, away from the stressful and busy city life. Some of these walks are purely for relaxing purposes, while there are those that are intended to give you challenge and can even require a certain physical endurance. If you want to get your spirits soar high in the iconic views it provides as you walk along the truly magical Central Coast, we provide you five of the best places you can start on. If you want to have an amazing walk in which there is an actual festival dedicated to it then the Five Lands Coastal Walk is just right for you. Aside from that, it is also the right place for nature lovers that are quite inexperienced in having lengthy walks. The name of the place originates from It gets its name from the universal five lands along the Central Coast New South Wales namely – Avoca Beach, Copacabana MacMasters, North Avoca and Terrigal Beach. The place is actually pretty manageable regardless of your physical condition. It is being comprised of a nine-kilometer walk, where actually stretches from the MacMasters Beach to Terrigal Beach. This will certainly provide you the challenging feeling that will renew your soul because of the iconic scenery, comfortable walkway, and historic events will thrill your soul and inspire your heart with both incredible scenery, free fun and cultural events along the way. When luck is on your side, and the chances may go well for you, you might even witness whales swimming on the shoreline. The Bouddi Coastal Walk is an enchanted walkway starting from Putty Beach to MacMasters Beach. This is an easy walk that will provide you memories that will last a lifetime. You can start with camping in the night on either along the camping grounds of Putty Beach and in the trail at the Little Beach camping ground. If you are into bush walks, the central coast the Beach is also for you to experience. The course is a beautiful wonder that is being comprised of an eight-kilometer walk. Experience the best outdoor feels as you will be able to witness tantalizing rainforest walks, breathtaking sceneries, attractive picnic spots, unmatched boardwalks, exceptional beaches, and one of a kind sightings of wild birds. There is no doubt that this iconic place is bound to be a place in which you can take priceless photographs of literally in every part of the place, whether it would be in Putty Beach to MacMasters Beach. Aside from the unique and rare birds that are found in the area, you will also be mesmerized by the gorgeous wildflowers. Without question, this one of a kind bush walk of the central coast is pretty enjoyable for everyone. The Kincumber Mt. Reserve is estimated to be around a forty-five-minute drive from Sydney. It is specifically located in the southern part of Central Coast, NSW. Through the course, you will be able to witness the enticing beauty of nature that has remained to be untouched throughout the years. However, the course is pretty challenging if you are up to some thrills. As you stroll around the area, you will get mesmerized by the MacMasters Beach, the Maitland Bay, Avoca Beach, and the Kincumba Mountain Reserve. The place is pretty accessible to other cities and just at the mountain, you will be able to experience a very thrilling downhill trail. This comes along with a fire trail that is paired with a single track. 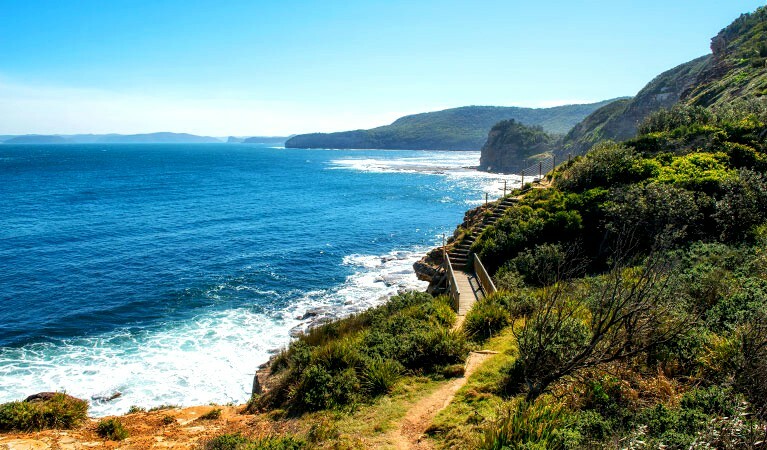 If you are into another fun walks in the coastal area and, at the same time, see the central coast villages, then you must really experience the Patonga and Pearl Beach walks. When entering the place you will have to make a difficult choice; you can start in the Pearl Beach or instead start in the camping sites of Patonga which is more economical. Anyone should be careful because there is actually one portion of the walk that is exclusive to those that are physically fit. However, on the second track, you will be rewarded by an iconic rainforest view with a waterfall that will surely take your breath away. Anyhow, the stroll around the course will deeply entice you with the parts of the Brisbane Water National Park. The park is located between Patonga Villages and Pearl Beach. Lastly, at the end of the route, you will be able to follow the appealing course towards the Great North Walk route. This will certainly provide you with a very appealing and tempting invitation to have a side journey down the Lookout of Warrah. As you follow this way, it will gradually guide you towards the Pearl Beach, and from that on you can either decide to stroll further or go swimming. There is a cafe nearby where you can relax or grab a lunch. As you go on the way, you will be able to see unmatched scenes of the waters, especially on days that are filled with sunshine or when spring comes in which it will be filled with wildflowers. Pearl Beach Rock Pool and Rock Walk is for anyone who is into searching for a different class of seashells, regardless of the hours spent, and even seek unique creatures in the sea. You can either go swimming on the beach and get the opportunity to witness the Ocean Rock Pool. Furthermore, you can also spend time and visit the Crommelin Arboretum, Warrah Lookout, Mount Ettalong, and Green Point to complete your tour through witnessing these local attractions. Certainly, there is no doubt that you will be able to have a quality time when you spend it in Central Coast. Nothing can go wrong from the point you stepped in. However, you will definitely miss a major part of your vacation if you don’t try one of these options. However, what’s best about all of these is that you don’t have to miss anything. Each one can be easily accessed with one another, and the only hard choice you have to make is which one is you should visit first.